Reseller Plans Are Designed For You To Earn Money ! WebITech offers you the best and cheap reseller hosting in Australia with cPanel and WHM, a great way for you to earn money. Web Hosting Reseller Business is a perfect choice for those who are thinking to start their own web hosting company in Australia with minimum investment. So, WebITech brings its cheapest web hosting reseller plan for you. With our perfect reseller hosting plans you can become your own full-time web hosting company in Australia with your own hosting clients. Our reseller hosting program is one of the top reseller programs in Australia because it provides cheap Linux reseller hosting and also cheap Windows reseller hosting to our Australian clients without compromising on the quality. A Webitech reseller plan is a great way for you to earn money on the side, or even become your own full-time web hosting company. Acquire your own hosting clients, or if you're a web designer you can use a reseller plan to add value for your existing and future customers. Choose Webitech To Start Your Own Business! It is always free and easy to upgrade your hosting grows as your business grows. You don't need thousands of dollars to start your own web hosting business. The evolving web hosting market is churning up new opportunities for entrepreneurs interested instarting their own hosting businesses. But there are no get-rich-quick opportunities. A Webitech Reseller hosting plan gives you complete control over every aspect of your hosting business, from resource allocation to payment methods and what (if any) additional services you choose to provide your clients (domains, SSL certificates, etc.). Yes, that’s definitely the idea! 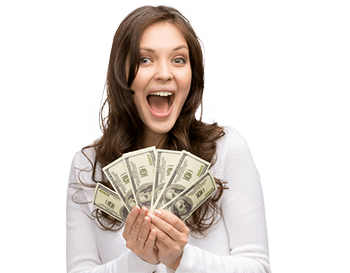 Reseller hosting is designed for you to make money. You get to promote your own brand, receive ongoing income from your customers, and bundle hosting with other services you offer. WHMCS is a comprehensive client management and billing software that we include for free with all Webitech reseller plans.